Including on any application for employment questions that seek the disclosure of an applicant’s conviction history before making a conditional offer of employment to the applicant. To inquire into, or consider the conviction history of the applicant, including any inquiry about conviction history on any employment application, until after the employer has made a conditional offer of employment to the applicant. AB 168 enacts Labor Code section 432.3, which prohibits California employers from asking job applicants about their salary history, including any benefits and other compensation information from previous employment. While California employers cannot currently use an applicant’s prior salary to justify any disparity in compensation, the inclusion of section 432.3 now keeps employers asking about salary history when interviewing, or making a job offer to applicants. If an applicant voluntarily provides their salary history, then an employer can use that information for salary consideration. Section 432.3 also requires employers to provide the pay scale of a position to an applicant, which makes California the first state to do so. The “New Parent Leave Act,” extends CFRA rights to employees working at locations with at least 20 employees within a 75 mile radius. The California Family Rights Act (“CFRA”) had already provided child bonding parental leave to employees at companies with 50 or more employees. This has now been expanded to small businesses with the recent California Senate Bill 63. Essentially the same as the California Family Rights Act, the bill establishes that an employee must have at least 12 months of service with a covered employer. The employee must have at least 1,250 hours of service during the 12-month period in order to take up to 12 weeks of paid family leave. The purpose of the leave is to allow an employee time to bond with a new child within one year of the child’s birth, adoption or foster care placement. Assembly Bill 450, “the Immigration Worker Protection Act”, prohibits employers from allowing federal immigration enforcement officials to access non-public areas of a work place without a judicial warrant. Governor Brown recently signed legislation limiting the coordination between local and state law enforcement and federal immigration officials. AB 450 was drafted to mirror this effort. Employment Eligibility Verification forms and other documents for which a Notice of Inspection has been provided to the employer. Instances where federal law requires employers to provide access to records. If employees are to be subject to an agency’s inspection the Act requires employers to provide sufficient notice that must also meet specific content requirements in order to be compliant. 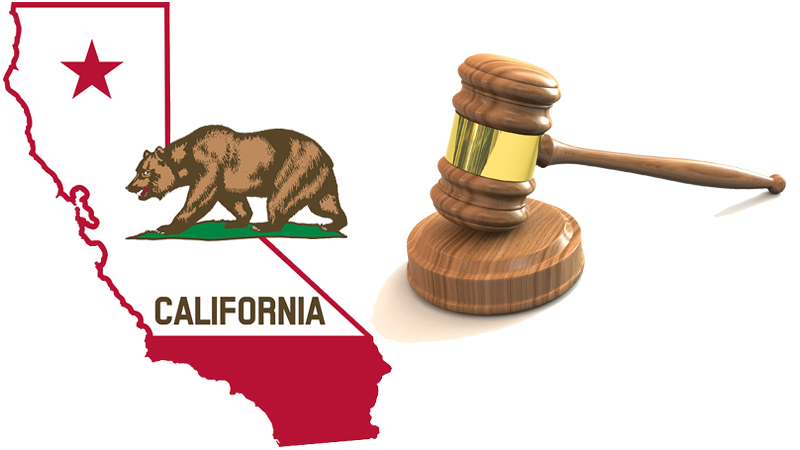 The California Fair Employment and Housing Act (FEHA) prohibits the harassment of an employee directly by the employer or indirectly by agents of the employer with the employer’s knowledge. Senate Bill 396 amends Sections 12950 and 12950.1 of the Government Code, and Sections 14005 and 14012 of the Unemployment Insurance Code, relating to employment. SB 396 requires California employers with 50 or more employees to expand their mandatory sexual harassment prevention training to include the topics of “gender identity, gender expression and sexual orientation.” This training, which is conducted biennially for supervisory and managerial employees, must include practical examples to address such harassment. Employers must also post a DFEH-approved poster for all employees to review regarding transgender rights.